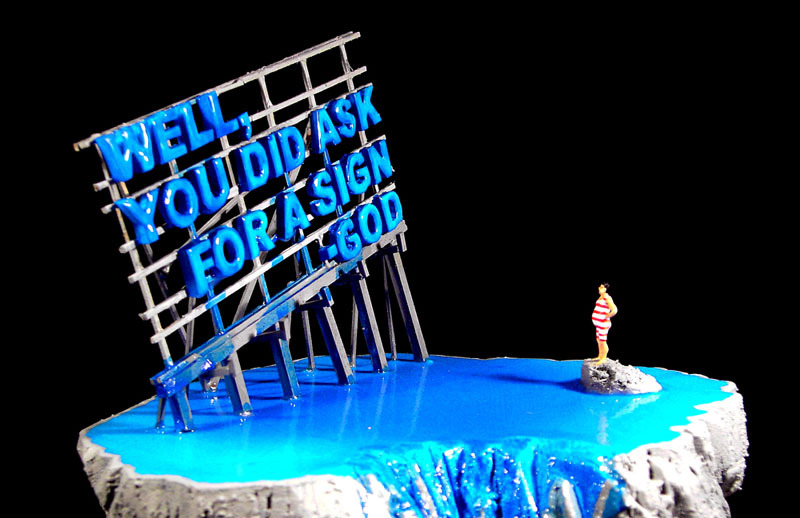 Architect and set designer Dmitris Polychroniadis from Athens has recently completed a series of humorous sculptures inspired by church sign slogans and relevant to the struggles that his country (as well as much of the world) is presently experiencing. The series is titled The Miracle of Fluo Colours. Religion often serves as an emotional ‘lender of last resort’ in times of crisis. 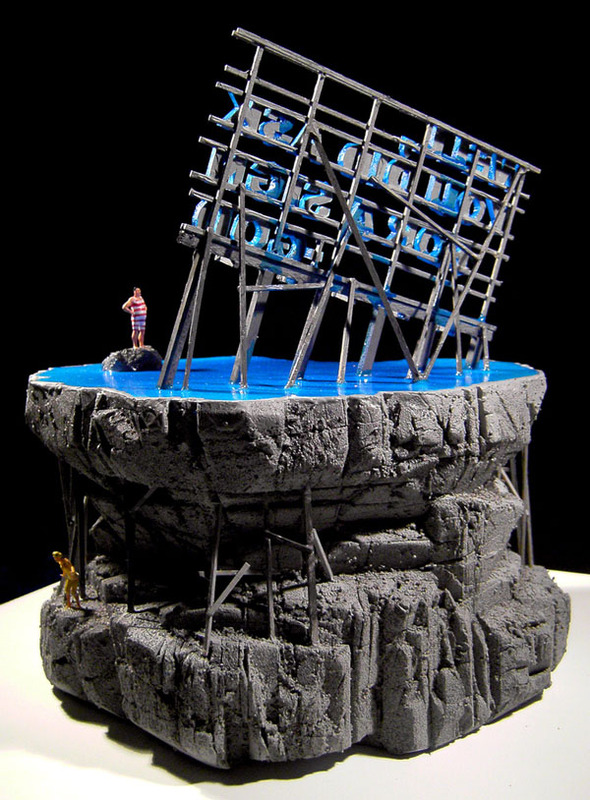 The idea for this series of maquette sculptures, comes from Christian church signs and billboards in the US. By stripping these religious quotes away from their physical and emotive context, the ‘message’ becomes more absolute, almost surreal. To emphasize this further, the text size has been exagerated in scale (compared to the figurines) and colour. The project is somewhat ‘street’ influenced by large scale advertising and slogan graffiti. The title of the series generates a contrast: The notion of God-sent miracles as an integral part of religious faith, against the marvels of man-made, modern age, industrial technology and it’s products such as fluoerscent materials and colours. You might enjoy some of Polychroniadis’ architecture work as well. I especially like his use of type in his restaurant and store designs. This entry was posted in Architecture, Art, Fun, Pop Culture. Bookmark the permalink.